Through the years Zealand has maintained a proud tradition of fishing in lakes. This tradition is still going strong in the present century, and as a result of better regulation, supervision and water conservation efforts, fishing in many of the lakes in Zealand is better than it has been in decades. 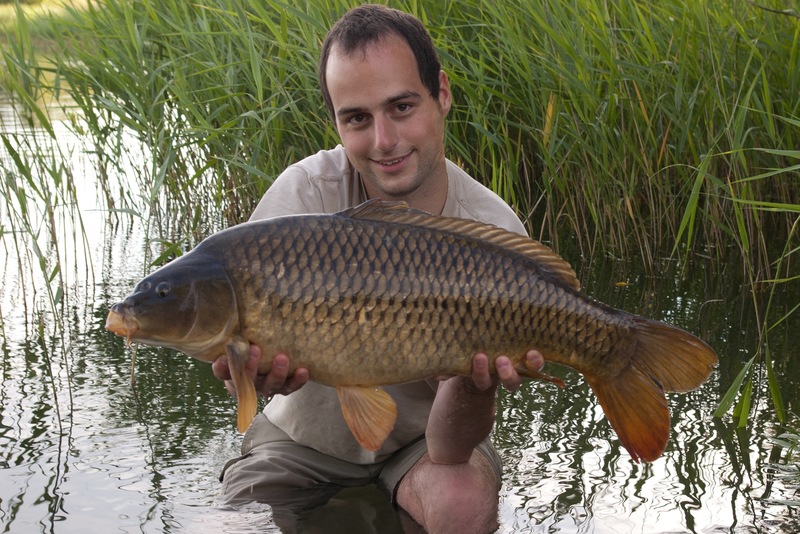 The lakes of Zealand are known particularly for pike, walleye and perch, but here it is also possible to enjoy fishing with live bait for roach, bream, tench and carp. In addition, in some lakes – for example Esrum Sø – there are good populations of burbot that you can fish for on summer nights after dark. There’s free fishing in a few Zealand-lakes, but on most of the bigger lakes, landowners and fishing clubs administer the fishing. You therefore need to ascertain whether a day ticket or a fishing club membership is needed before you begin fishing. You can fish from the banks of most of the lakes in Zealand, and since many of them have pretty hard bottoms, you can – dressed in waders – fish by moving around along the fringes of the reeds and among the grasses. When fishing from the banks you can use anything from spinners and wobblers to spoons, flies and bait fish. Here it is a matter of covering the water and finding the fish – whether you are after perch, pike or bream. The perch are usually found in large schools in bays and inlets and along the depth curves of the subaqueous banks whereas you can usually find the bream along the bottom and the pike along the reeds and grasses and in the tempered spring layers. 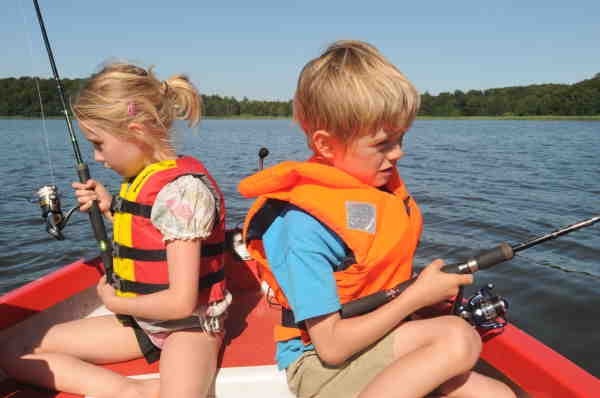 If you are not that fond of fishing from the banks, you can launch your own boat, kayak or floating tube in many of the lakes, and it is also possible to rent a boat on many club waters. But be sure to remember the rules for safety on the water. A chart of the water you are fishing in for the first time can be a real asset – especially if you are fishing from a boat. The surface of the water doesn’t reveal the most likely places to fish, but with a map you can easily find banks, underwater reefs, depth curves and holes. Here a fish finder is also a big help since it can produce a precise picture of the contours on the bottom and localize schools of fish. The precision of these instruments has even given rise to new types of fishing techniques like drop shotting and vertical jigging, which have become particularly popular for fishing for Zealand’s bream. This is because the fish finder spots fish just under the boat, allowing you to drop your lure – typically a jig – right down to the deep fish. 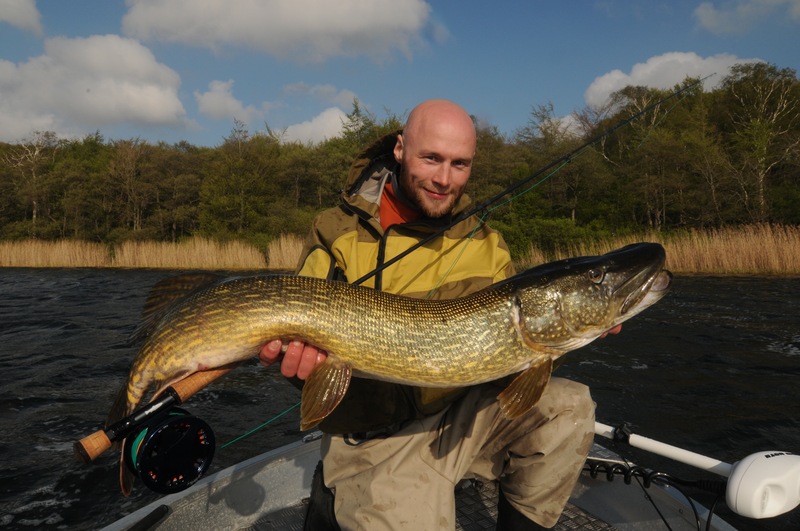 Pike and perch are especially prevalent in many of the lakes in Zealand, and they are generally easier to locate than the bream, which are mostly active during the night. A good way to investigate a new lake is to rig 3 or 4 rods and troll them behind the boat using different lures – the kind that can entice either pike or perch to take a bite. This could be spoons, spinners and wobblers in different sizes and colors, but trolling with live or dead bait behind the boat can also be powerful. This lets you cover a lot of water and various depths, and thus you will have plenty of opportunities to get a good strike. Lakes like Tissø, Skarresø, Esrum Sø, Farum Sø, Furesøen, Lyngby Sø, Sorø Sø, Tystrup-Bavelse Sø, Truel Sø, Haraldsted Sø, Gyrstinge Sø, Kattinge Sø, Selsø Sø, Bure Sø, Arre Sø and Maribo Sø are among the best in Zealand. Tystrup-Bavelse Sø, Haraldsted Sø, Arre Sø, Kattinge Sø and Tuel Sø are particularly well known for their good zander fishing, whereas the rest are known for their large pike and healthy populations of perch. You can coarse fish in all of Zealand’s lakes, and especially roach and bream are plentiful. Chances are good for catching fish of record size, and bait like corn, maggots and earthworms are good for getting the roach and bream to strike. If you are interested in tench, you should seek out smaller lakes, ponds and lime pits. Here you will also find some of Zealand’s best carp fishing. Hakkemosen, Dybedal Mose, Utterslev Mose, Kalvemose, Donse Dam, Løje Sø are just some of the many places where there is good fishing for carp and tench. You can contact one of the local fishing clubs that focus on live bait fishing and ask about the possibilities for fishing in the area you are going to visit. There are so many lakes to explore!